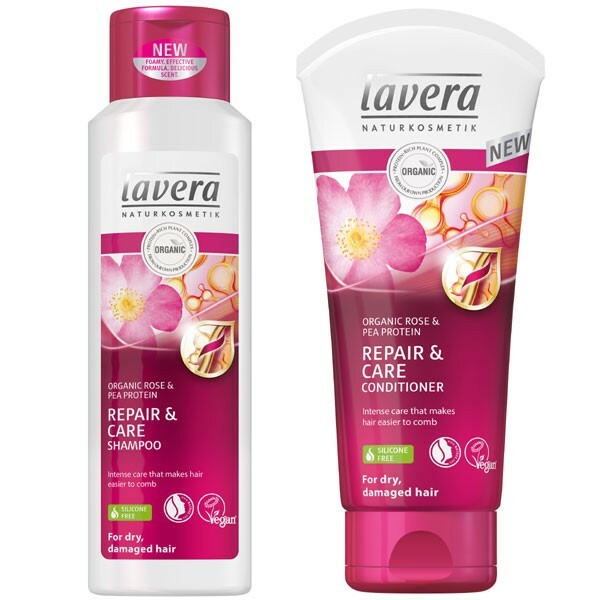 Organic Shampoo & Conditioner Bundle for dry and stressed hair. Save money when you buy both as a bundle. Shampoo: This silicone free organic shampoo with organic rose and pea protein helps smooth the hair structure and adds moisture to leave hair looking great and feeling silky smooth. It helps to prevent tangles and provides moisturising care. 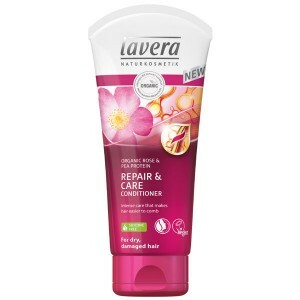 Conditioner: The matching conditioner provides extra care for stressed and dry hair with organic rose and pea protein to leave it sleek and smooth. Hair is moisturised and de-tangled, it is left looking great and feeling sleek and silky. Free from SLS and parabens. 100% natural fragrance from pure plant extracts and essential oils. 100% free from silicone and petroleum based oils. Vegan Friendly Formulation. pH 5.0 – 5.5. 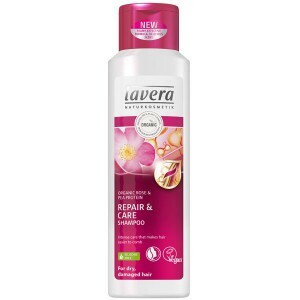 Wet hair thoroughly, massage to lather with Shampoo, rinse out thoroughly, follow with Lavera Repair & Care conditioner..